There are many ways to train and manipulate your Cannabis plants as they grow. Some of these methods are also used when training Bonsai. By physically changing the growth structure of a Cannabis plant, a grower can improve the overall yield and quality of flower. Below I will explain the process of low stress training, when it should be done, how it is done and what to consider. L.S.T is an abbreviation for Low Stress Training. 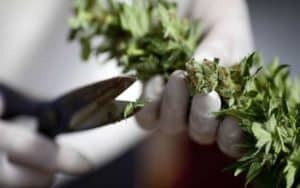 Its most basic meaning is a technique that is applied which does not cause any significant stress or trauma to the plants. High stress training for example would class as snapping stems (super cropping) which require a recovery time and for the plants to repair themselves with growth hormone. As the name suggest, the amount of stress using L.S.T is very friendly towards the plants and can be performed by anybody as long as you have the right tools to work with. When a Cannabis plant grows vertical this is because there is a growth hormone named Auxin at the tip of the plant that is responsible for apical dominance. This means that the plant will display a main central stem that dominates over the lower growth. The top crown shoot of a Cannabis plant will naturally grow tall unless it is topped, where the crown growth tip is removed, or in this case where the plant is tied down allowing the top shoot to become bent below the canopy line. In effect, the plants will respond to this shift in the canopy structure and instead of focusing on apical dominance, the canopy will consist of multiple crown shoots all fighting for apical dominance. Imagine a Hanukkah Menorah (candle holder for those who do not know) and this will give you a better idea. When Should You Use L.S.T? Like all plant training techniques designed to enhance yields, it should only be performed in the growing/vegging phase. For indoor growing this refers to the time period where lights are on for 18 hours and off for 6 hours per day. 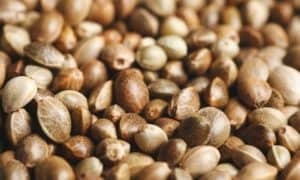 This is the point where your Cannabis plants will usually start from seedlings and grow as much vegetative growth as possible. Tying plants down needs to be done with a set goal in mind and should be performed over a fixed time frame. There are many different reasons why a grower may choose to perform L.S.T on their plants, and they may range from a reduction in final plant height to using a screen for SCROG or mainlining. Whatever the end goal may be, always perform final L.S.T techniques a week prior to changing the lights to 12/12. What Do You Need to Perform L.S.T? This is a very simple technique that requires only string that will not harm the plants. Some growers like to use elastic bands that have been cut in half as these will allow plenty of slack. Metal wire can also be used to bend a crown shoot into place. You will also need something like a screwdriver or pair of scissors to create holes in the tops of the pots. 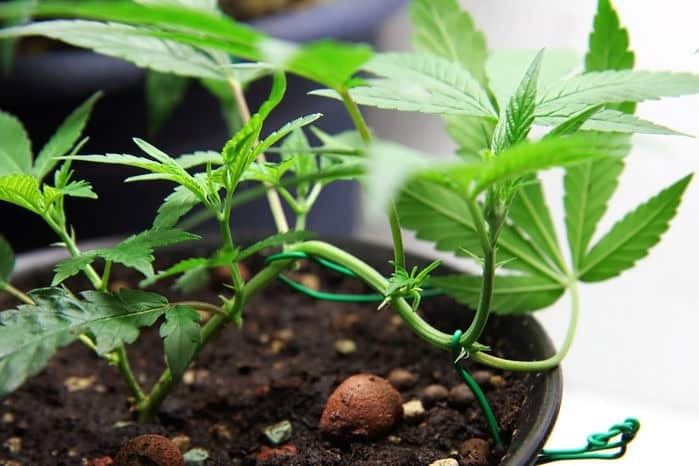 Once you have found the ideal candidate to tie your plants down with, you will need to make a loop attached to the part of plant that will be bent down. Then you will need to tie the other end of the string to the pot. Where ever the string is tied to must be secure otherwise the plants will not grow according to plan. Identify the main central branch and decide how far below the canopy line it will be tied or pinned below. Carefully tie a loop around the part of the branch you will tie down. You should pull the string to make sure there is not too much tightness and the plants can be bent in any direction if needed. Make a pencil sized hole in the tops of your pots. These will be where you will securely fix the string, twine or rubber bands to the pots. Give the attached loop a tug and when you have the right amount of slack bend the plant, then carefully tie a knot through the hole in the pot. Again, make sure that the tied down shoot has plenty of bend and sway. Allow the tied down plants 72 days to grow back upwards. Some plants will respond within 24 hours, however most within 2 days. Decide how many times you want to L.S.T your plants and if you want to do the same with the side branches also. Avoid using thin string that has no slack. Over time the string will cut through the plants and can cause serious trauma. Always use a material that can be quickly cut off, or even bitten off with teeth in an emergency. Thick elastic bands work a treat and have plenty of leverage and slack also. The tops of the plants will grow back upwards within 72 hours so make sure you do not tie the plants too far below the canopy line. If you have limited vertical growing space then L.S.T will allow your plants to grow with a wider, bushy characteristic meaning a much shorter stretch when flowering begins. 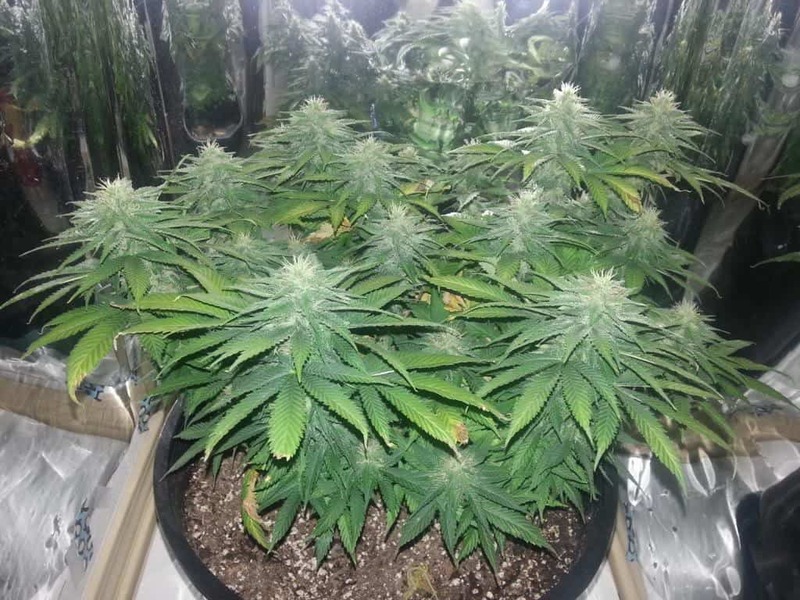 Tying your Cannabis plants down once the lights are on 12/12 can be counterproductive unless there is an issue with the growing space you have. Making a loop and knot to create space between the string and the branch can prevent plants from growing over the string and will allow for extra slack. What Other Techniques Can Be Used With L.S.T? 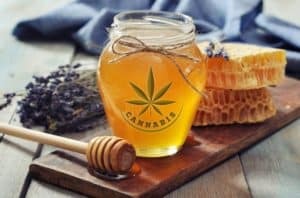 Once you have become more confident in the garden and more familiar with the strains you are growing, you can apply other techniques in the same time frame before flowering begins in order to really get the most out of your plants. Super cropping plants meaning to break the main stem works very well when tying plants down as the break heals at a set angle, similar to a cast for a broken arm. 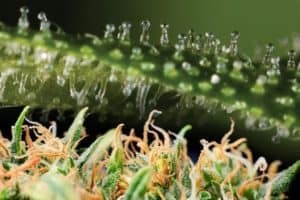 Pruning Cannabis plants once low stress training has been performed is an excellent way to make sure that all of the top growth produces thick sized large buds once ready to harvest, without the risk of any unwanted popcorn bud. 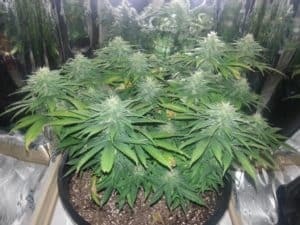 Knowing when to apply each technique during the growing stage can be a huge difference maker in terms of quality, quantity and practical challenges a grower may face indoors. Stoney Tark is head writer for Soft Secrets, High Times Magazine and Weed World. He is also the main breeder and owner of Prana Medical Seeds.